Drone population, not just in the USA but globally as well, is continuing its rapid growth for the last couple of years. 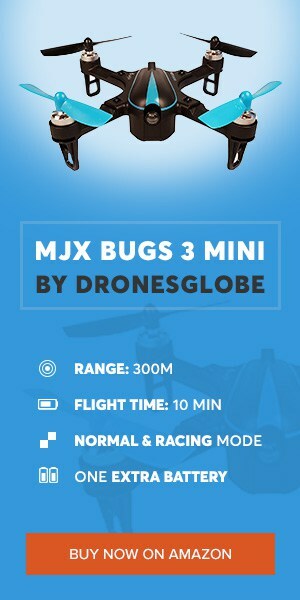 From casual toys to worldwide industrial phenomenon, drones have definitely come a long way… but so have the bad people trying to use them for their mischiefs. Luckily, the hardworking people at DroneShield have come up with a brilliant product that aims to make the world a better place by disrupting criminals using drones! 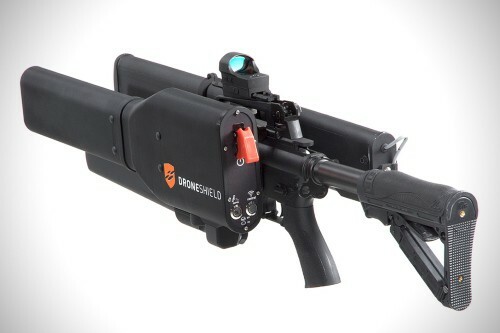 Over the course of the last couple of years, DroneShield was showing off their DroneGun – a device equipped with a high-gain antenna capable of interfering with drone’s signal and thus making it automatically land as if had encountered a full signal loss. The idea was absolutely amazing but the product itself had some issues. The effectiveness was on point but what was not was its weight and size. However, there is still a lot of work to be done regarding this device. Plus, after the original received heavy praises from the public, they are now experimenting with a brand new one… So, with that being said, let’s see what is it all about! Just recently, Australian company DroneShield announced a brand new model of their drone-battling rifle called DroneGun Tactical. It is much smaller than the original, clocking in at 56 inches long, 8 inches wide and 18 inches tall. It’s also much lighter than its predecessor, weighing in at slightly more than 30 pounds. Now equipped with a GPS blocker, DroneGun Tactical can jam signal from a drone more than a kilometer away, ensuring it doesn’t just fly back to its initial takeoff location but start landing down from where it got jammed. Of course, for successful operating with this device, you will need a serious amount of training which is not available anywhere in the USA. When will DroneGun Tactical be available for purchase? Unfortunately for those of you wanting to get rid of your annoying neighbor’s children and their drones buzzing around your backyard – DroneGun Tactical is illegal and will not be available for purchase… at least for the civilian public. Instead, this marvelous device will be available only to authorized government agents who will use it to combat criminals, terrorists and all sorts of ill-minded people using drones for their vile endeavors. As a matter of fact, DroneGun Tactical was developed following international military end-user trials meaning it will probably never be available for the civilian public. Yup, this means your neighbor’s children get to keep their drones… yikes. South Korea is one of the world’s leading technology havens so it’s not that surprising to see they are taking great (and technologically advanced) safety precautions for the Winter Olympics that are going to be held in Pyeongchang starting less than 2 weeks from the time of writing this article. Of course, I am talking about none other than the previously announced drone-catching drones which will be readily available even before the official start date. 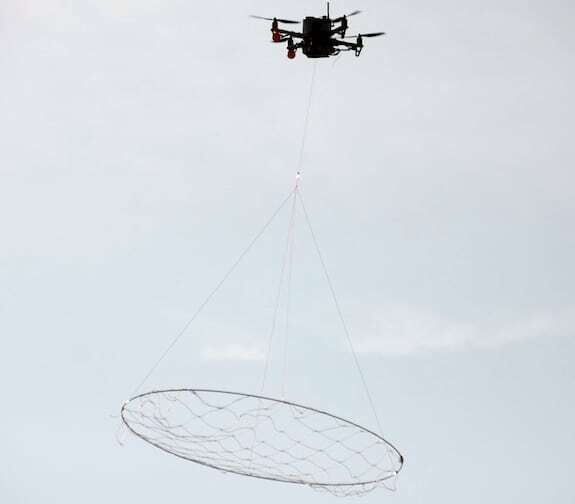 What they will do is track and disrupt (with their specialized nets) any suspicious unmanned aerial vehicles that come close to the Olympic grounds in Pyeongchang. Winter Olympics 2018 aside, South Korea already has a ton of experience when it comes to anti-drone measures, solely due to the fact their closest neighbors are their worst enemies – North Korea led by Lil Kim… uhm, I meant to say, Kim Jong Un, of course. In the past, there were reports of North Korean drones passing the border with some of them even being recovered by South Koreans. However, the threat is far from gone since it’s presumed that the North has around 1,000 drones ready for all sorts of airborne attacks including those based on chemical or even biological weapons. In today’s world, it is only logical to see criminals and ill-minded people using advanced technological gadgets to their advantage. It all started with drug smugglings but newer reports confirm our worst fears – terrorists are learning to use drones in order to drop explosive devices on their targets. However, thanks to hardworking companies, we now have something to defend our communities and countries against vile drones and their operators.